“E” Senior Raised PanelAvailable only on MDF and TruStile Reserve wood doors. “F” Senior Bevel ProfileAvailable only on MDF and TruStile Reserve wood doors. Low Profile Bolection Moulding (LP)Available only on MDF and TruStile Reserve wood doors. 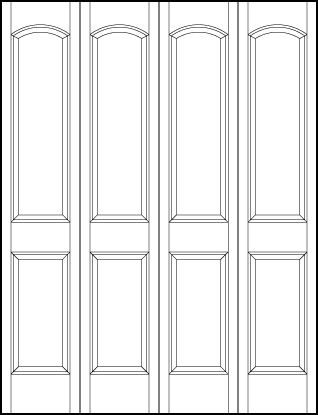 Bolection Moulding (BM)Available only on MDF and TruStile Reserve wood doors. Big Bolection Moulding (BBM)Available only on MDF and TruStile Reserve wood doors. Linea (LN) Applied MouldingAvailable only with flat (C) panel. Only for square panels meeting minimum size. Linea Low Profile (LNLP) Applied MouldingAvailable only with flat (C) panel. Only for square panels meeting minimum size. Avant (AV) Applied MouldingAvailable only with flat (C) panel. Only for square panels meeting minimum size. Avant Low Profile (AVLP) Applied MouldingAvailable only with flat (C) panel. Only for square panels meeting minimum size. Miracle (MR) Applied MouldingAvailable only with flat (C) panel. Only for square panels meeting minimum size.